alaTest ha raccolto ed analizzato 37 recensioni su JBL Boost TV. La media della valutazione per questo prodotto è 3.9/5, confrontata con la media della valutazione di 4.5/5 per altri prodotti. Le persone rispondono positivamente alla affidabilità e design. In aggiunta, dimensione e usabilità ottengono buone recensioni. Abbiamo analizzato differenti valutazioni di esperti ed utenti, età del prodotto ed altri elementi. A confronto con altri prodotti, JBL Boost TV ha ottenuto un alaScore™ complessivo di 93/100 = qualità Eccellente. Want better sound on your TV? This a really easy option. Plus you get Bluetooth streaming thrown in. The JBL Boost TV is simple to set up and gives you better sound than almost any television. The unit is compact and includes the most-used connections. 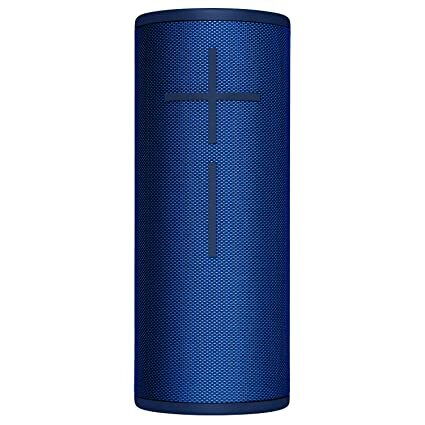 The speaker sounds better than many portable Bluetooth speakers at the same price. The Boost can sound shouty at high volume or with bright music. There's little stereo separation. You can buy a full sound bar and subwoofer system with streaming features for the same money. The JBL Boost TV offers a simple, effective upgrade to your existing television sound with the option of Bluetooth streaming thrown in. The JBL Boost TV soundbar is a compact and affordable way to add plenty of audio power to your television, but don't expect musical magic. Affordable. Generates a large sound field for its size. Makes movies and shows sound epic and exciting. Better for movies and television than music. Can sound shrill at higher volumes. Not much deep bass. • Optical digital audio with Dolby Digital connects one cable to your HDTV. Small, sleek and packs a wallop when it comes to sound.Those in the market for a sound bar but aren't wanting a 5.1 system should look no further. The JBL Boost TV is no replacement for a serious home theater speaker system with a subwoofer, but it is an excellent solution for small apartments, bedrooms and cramped spaces. The JBL Boost TV retails for $189.95 and is available in white or black. Ceux qui cherchent à améliorer les performances audio de leur téléviseur trouveront avec la Boost TV de JBL une enceinte simple et efficace, avec en prime une option Bluetooth.